By now we all know that Social Media postings can generate real world results, from news and politics to advertisement and brand awareness. 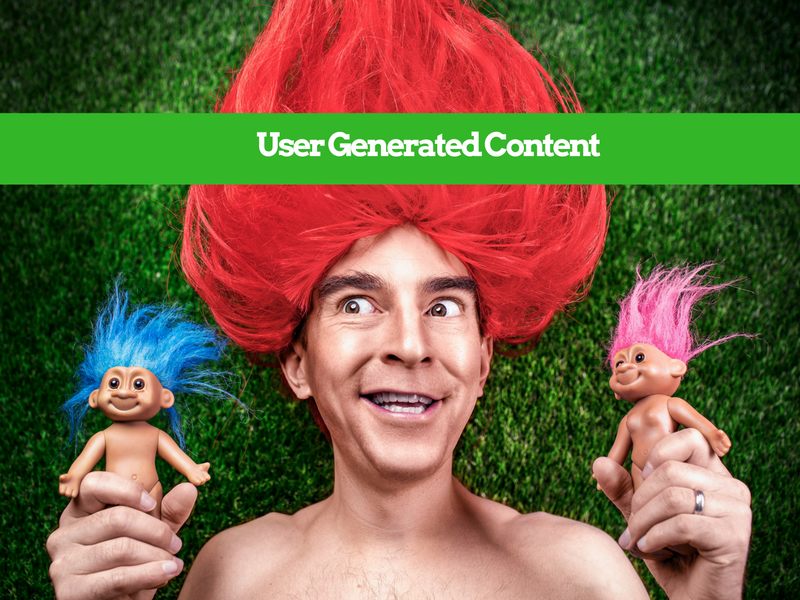 Top Social Media users have tens of thousands of followers, making User Generated Content a trusted source for people researching travel plans. So how do Hotels capitalize on this, and why? In 2014, as part of a larger Social Media campaign, Hilton Hotels launched #HiltonStory to create a portfolio of unique travel stories that highlight the thirst for adventure so integral to travel. Contributors to the campaign were incentivized with the possible award of a free two-night stay, given away every week. 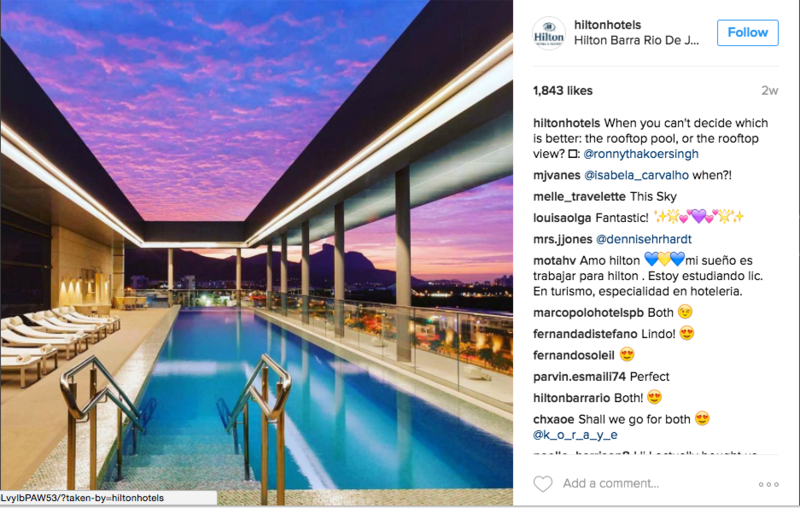 As a result of embracing UGC, Hilton’s Instagram feed today has over 132,000 Followers and Hilton regrams and retweets pictures (with credits) regularly from people who have stayed at their properties, spreading the attention around and encouraging further user engagement across social media. 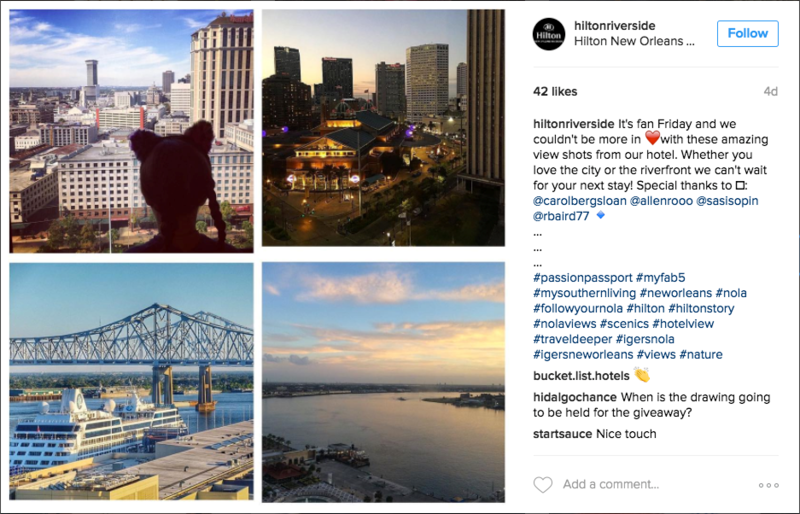 Add to that Hilton’s top-of-the-line booking app, and they have one of the strongest social media enabled client bases to be found. 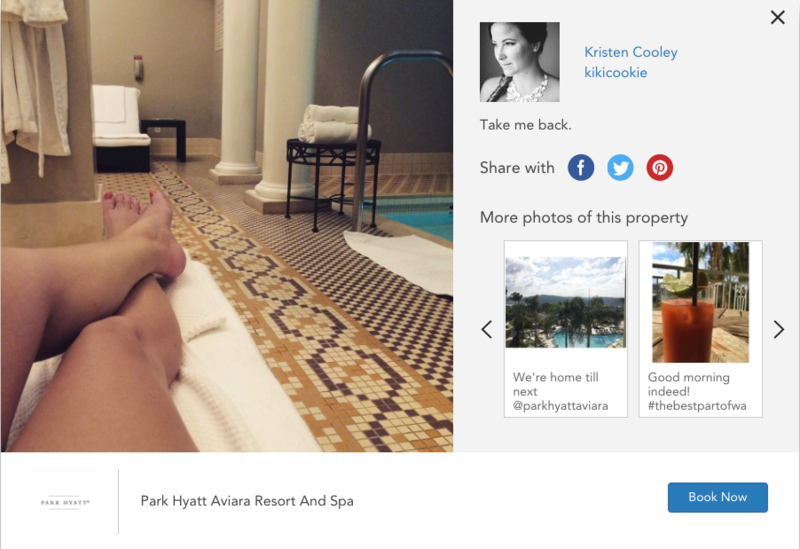 With over 63,000 followers on Instagram (as well as their own micro-social media site) Hyatt has leveraged social media outreach to terrific results. 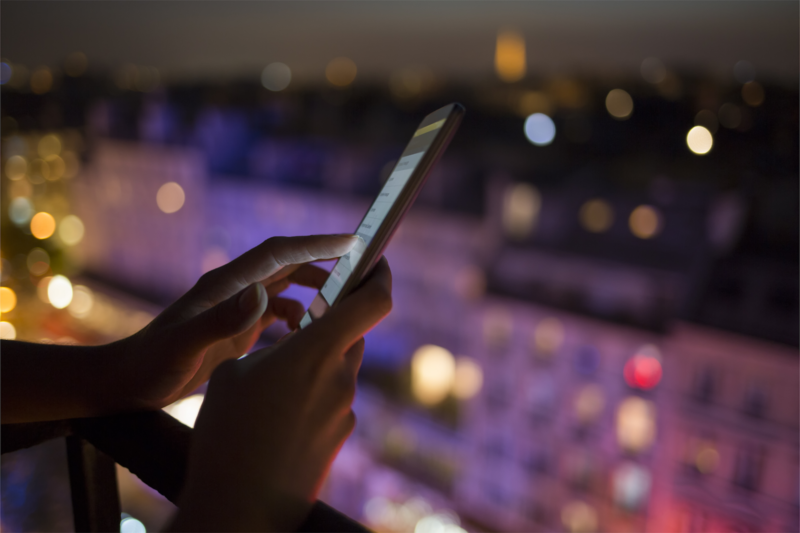 Like Hilton, they have come up with clever hashtag campaigns in order to drum up social media contributions, using #InAHyattWorld to advertise the superior customer service one expects from a Hyatt hotel. And they continue to push for new and interesting content from their guests, creating a strong word of mouth support for their brand. 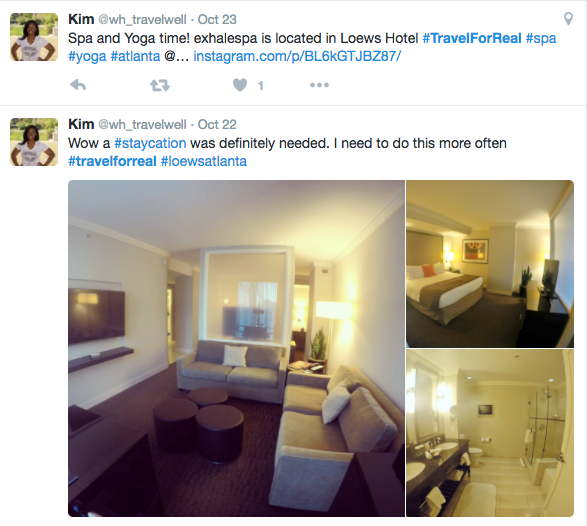 With each Loews property having its own unique look and feel, this hotel chain would have trouble creating a one-size-fits-all image for their brand, and that’s what led them to embrace UGC, starting with the #TravelForReal campaign. Real users’ Instagram and Twitter photos highlight the warm feel of Loews’ various properties while setting the brand apart from the staid old professional (staged) photography. The truth is, stock photography has become too noticeable in the marketplace, and people want to see an authentic and relatable depiction of travel experiences. Even where the pictures are not the best quality, the accompanying review from an actual hotel guest about their relaxing spa visit and hometown “staycation” brings forth the authenticity people want when looking for a hotel. Perhaps no hotel has embraced UGC as massively as Sol Wave House in Mallorca. Referred to as the world’s first Twitter hotel, they have organized the entire stay experience around social media. 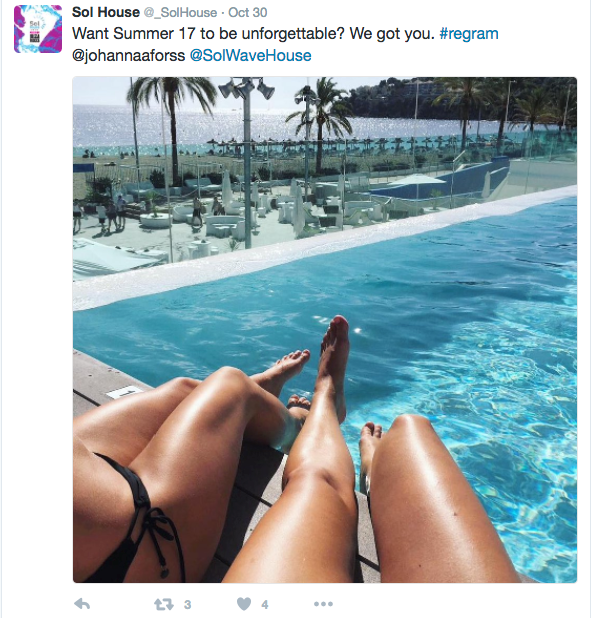 Their enthusiasm for social media is so contagious the guests are constantly posting on the hotels accounts. In addition, guests can check in and out, order drinks and room service and get deals all by interacting with the hotel’s Twitter account. Sol House’s heavy Twitter engagement has actually led to cross-platform engagement from current and former guests which Sol House interacts with, generating the sense of fun and community that identifies the Sol Brand. 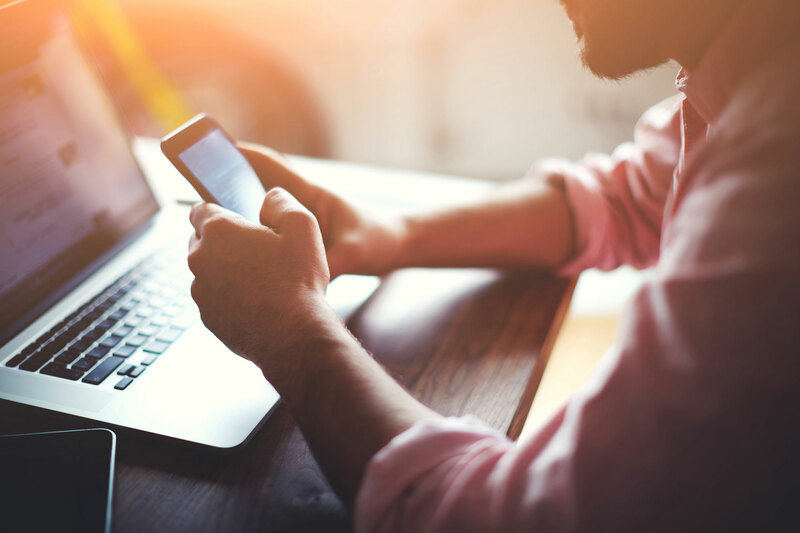 Social Media engagement offers hotels a new and dynamic way to engage directly with past, current and potential guests, offer smooth and reactive service, collect feedback, and make offers. 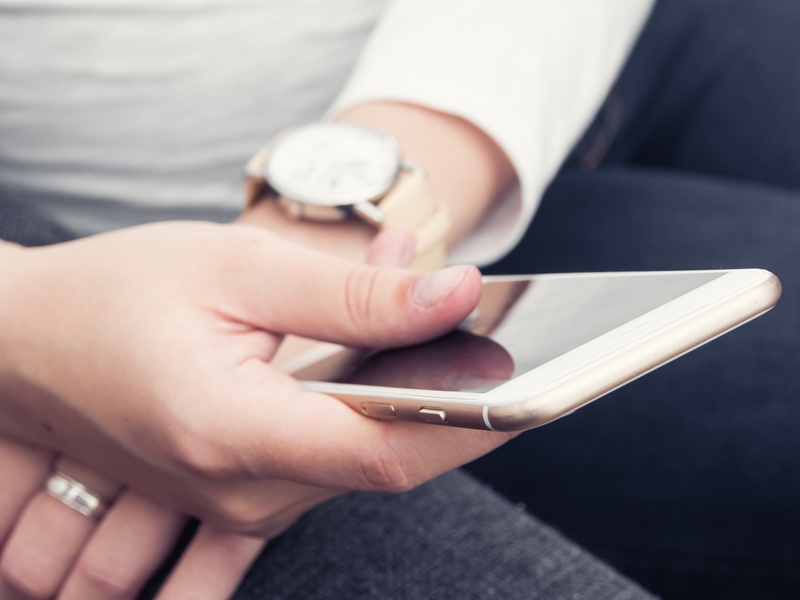 Connecting with and promoting User Generated Content also creates an authentic picture of stay experiences from the point of view of actual guests, in real-time, rather than relying on the vision of a photographer or marketer which streamlines marketing costs while reaching a wider base of potential visitors.